In this class I will show you step by step, pose by pose instructions on how to do sun salutations or surya namaskar. The yoga postures in this class will prepare your body for the walk through in sun salutations. If you have arthritis the yoga postures in this class will open your hip joints and relieve pain in your hips and knees. The yoga poses will give you increased flexibility in your hamstrings, calves, inner thighs, spine, wrists, psoas and hips. If you have back pain, there are several postures that will alleviate your backache and sciatica. There are also several strength-building postures to increase strength in your wrists, arms, shoulders, back, and core. By building upper body strength you will preserve your bone density and decrease your risk of osteoporosis. Chest and hip openers are great counter poses to sitting all day in chairs, computers, cell phones, and driving. There are poses to relieve stress and fatigue and elevate your mood. Final relaxation at the end of the class will help you to relax and relieve stress. This yoga class explores the relationship between gratitude and spirituality by practicing sun salutations as a prayer of gratitude in four directions in the tradition of the Native American or First Nations Medicine Wheel. We will also combine breath awareness, yoga postures or asanas and mudra. Robert Emmons Ph.D. says that modern research shows that people who describe themselves as either religious or spiritual are more grateful than those who describe themselves as neither. There is a fundamental spiritual quality to gratitude. The language of blessings, gifts, and thankfulness and gratitude infuse most spiritual traditions and the yoga tradition is no exception. Gratitude sets up a relationship to the divine source from which all good comes. Choosing to live in a space of recognition repositions you in a more sacred space of humility, awe, and recognition of how blessed you are to learn, grow, love, create, share and help others. The response to mindful recognition of all the good in your life can be a sense of humility, wonder, a desire to give thanks and an acknowledgment of the generosity of a higher power. Rituals are a powerful way to set aside time to cultivate gratitude. They are a way to create a ceremony of remembering gratitude. They are a way to wake up, be open and give thanks. 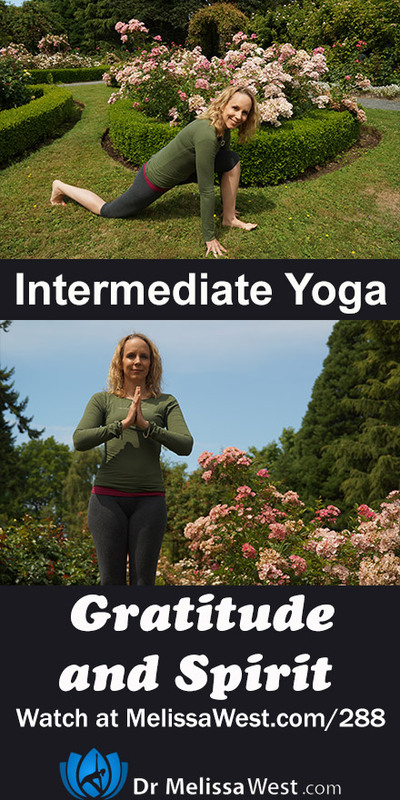 In yoga, sun salutations or surya namaskar. Shiva Rea reminds us that Suyra means sun and Namaskar means ‘to bow. Sun Salutations are ultimately a prayer of gratitude. Originally, surya namaskar was not even a sequence of postures, but a mantra that was recited at sunrise. The practice included 132 passages and took more than an hour to recite. After each passage, the practitioner would perform a full prostration, lying their body face-down on the ground, in the direction of the sun to express their devotion. When we practice sun salutations we can see them as a prayer of gratitude and devotion as well. Christopher Key Chapple a professor of Indic and comparative theology at Loyola Marymount University suggests that our expansion up towards the sky and then bowing towards the ground allows us to honor heaven, earth and all of life in between that is nourished by our breath cycle. When we bring our hands together at our heart we can acknowledge our body forming the center point between heaven and earth in our sun salutations. Today we will expand on the ritualistic aspect of sun salutations by practicing them facing in each direction, North, East, South and West. The East is where the sun rises. As the source of life itself, when you do your sun salutations to the East you can be grateful for light and inspiration. You can be grateful for beginnings, and for the motivation to awaken and get moving. The West is where the sun sets. When you do your sun salutations to the West you can be grateful for rest, letting go and replenishment so that you can start your next day refreshed. The North is the location of the polar star which symbolizes stability. When you do your sun salutations to the North you can be grateful for direction in your life, strong convictions, protection and for the Grace of God to pull you in the right direction in your life. Finally the South is associated with death and complete endings. Many people are afraid of death. However, in the Hindu tradition, Shiva and Kali have many stories to teach us about death and the cycles of death and rebirth. Endings make space for new beginnings in your life. When you do your sun salutations to the South you can be grateful for the endings that are clearing you out for the new. Here in North America, offering gratitude in four directions is associated with the the medicine wheel and our First Nations people. The Medicine Wheel has become a major symbol of peaceful interaction among all living beings on Mother Earth representing harmonious connections. The medicine wheel teachings are about walking the earth in a peaceful and good way, they assist in helping to seek; healthy minds (East), strong inner spirits (South), inner peace(West) and strong healthy bodies (North). In the Cree tradition the East is about spring, birth, first or second chances, new days, the eagle, and the element air. The South is about adolescence, developing mental capacities and the element of earth. The West is about fall, harvest, adulthood, deep reflection and emotional understanding, It’s a time of introspection and healing and is associated with the element of water and the animal totem is bear. North is associated with winter, elders, wisdom, achievement, deep connection to spirituality and understanding of life. It is a place of knowledge and understanding, personal power and the element is fire. Today we will give thanks to all four directions and their significance by practicing sun salutations in each direction. 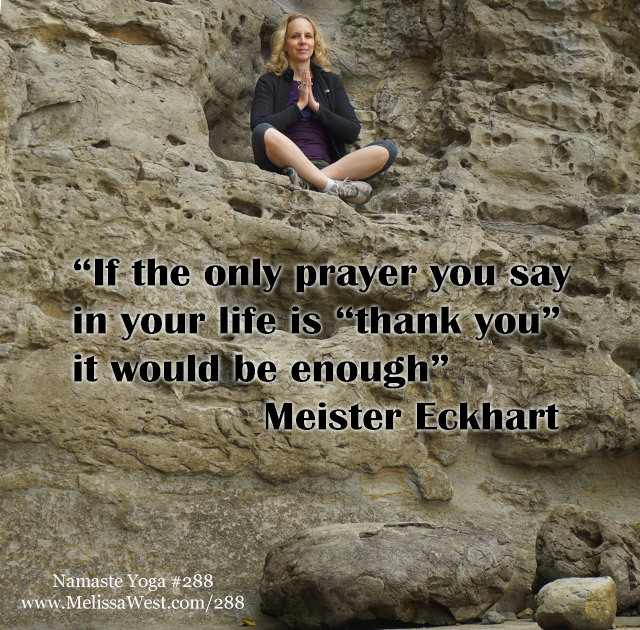 Question to leave your comments about below: What are you most grateful for after this practice? Thank you Cyndi Perkins for your donation this past week. If you are looking for help with sun salutations when we have one of the graduates of our Mentor with Melissa program, and resident sun salutation expert teaching you Surya Namaskar A and B as part of the traditional Ashtanga Primary series on our membership site. 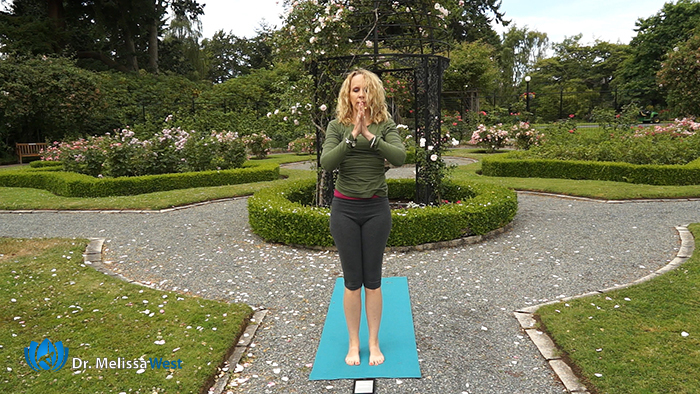 In this video, these Sun Salutations are taught to show you how to execute the flow with mindful awareness of the body and breath. This style of vinyasa is meant to heat the blood so it may flow through the joints and organs freely, relieving pain and stiffness and removing toxins. The practice is usually done using a ujjayi breath with a 5 breath count in every down dog. Next post: Is stress making you inflexible?